Akihiro Kitsunai — Flute solo. Today's piece was kindly contributed to our collection by its composer, Italian flutist Corrado Cristaldi. 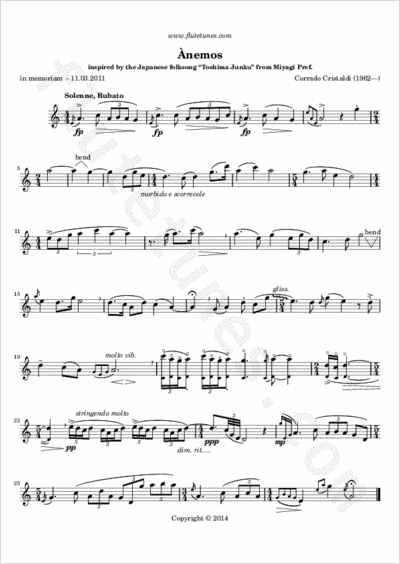 It is a short “air” for solo flute entitled “ànemos”, a word from Ancient Greek meaning ‛soul’, ‛breath’, ‛wind’. The music was written as a tribute to the victims of the tragic earthquake/tsunami that hit Japan on March 11, 2011.